There are tons of creative ways to ask your bridesmaids to be a part of your wedding. When I chose a winery for my wedding, I knew a bottle of their award-winning wine was a perfect gift that they would not only appreciate, but also serves as an early souvenir from the venue. Brotherhood Winery, where I’ll be getting married in July, is America’s oldest winery, established in 1839. 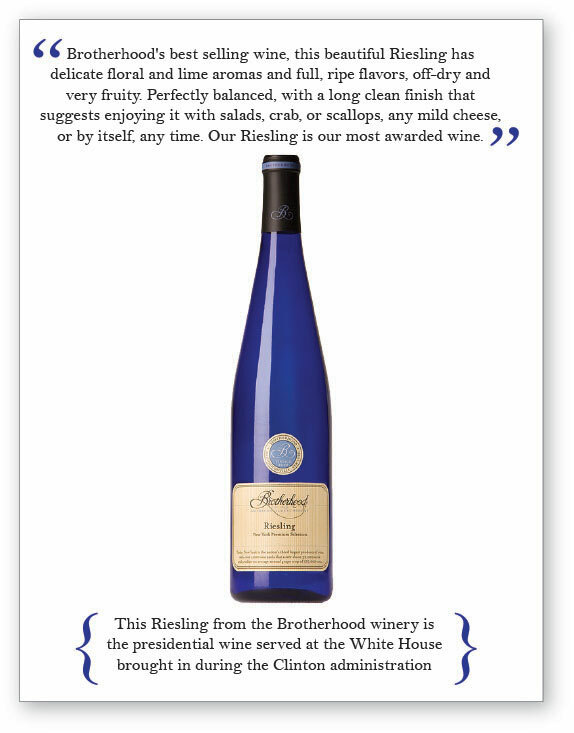 Their Riesling is their most award-winning wine and comes in a beautiful blue bottle – a perfect “something blue”. 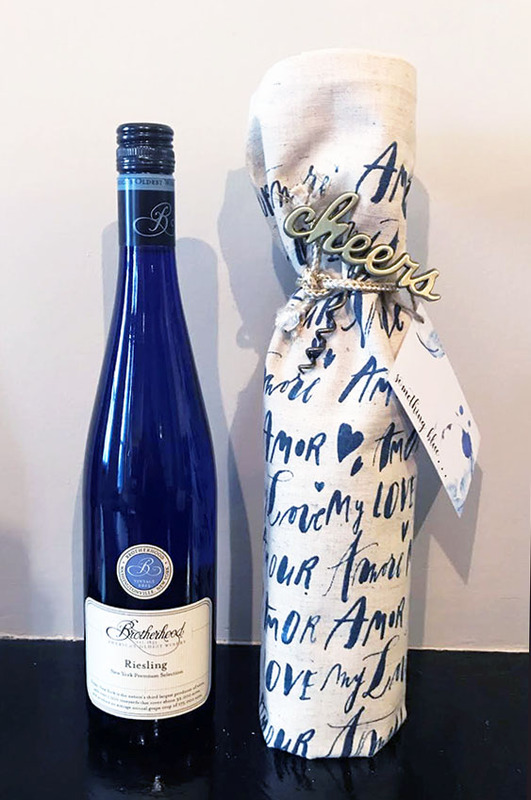 I wrapped each bottle in a cute dishtowel – on theme of course – printed with blue scripted “love” words in different languages and added a gold “cheers” corkscrew. I tied it all up with a gold-laced rope and custom hangtag with a personalized note for each of my girlfriends. I also designed this small detail card as well providing a little more information and background on the wine. Adding some custom designed cards gave a little extra personalization and was the perfect preview to our venue! 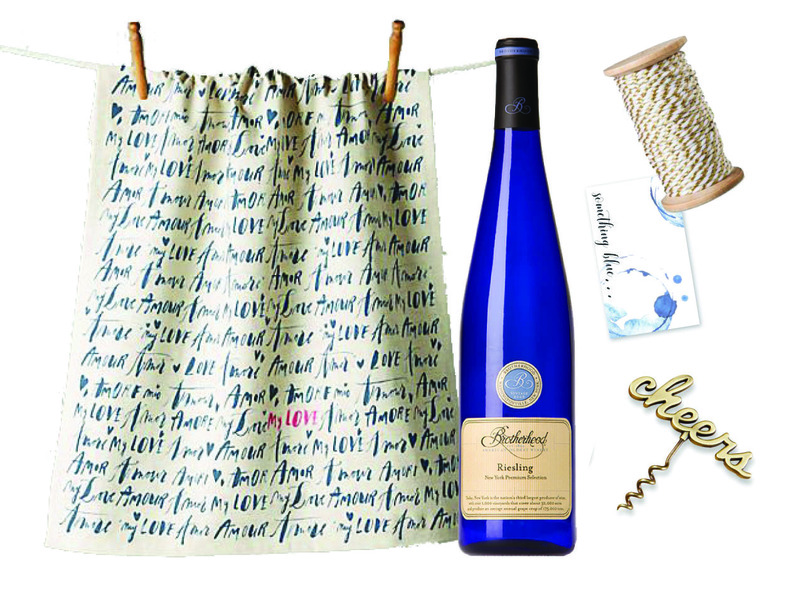 Click here for a FREE DOWNLOAD of “Something Blue” Bridesmaid Wine Tags. 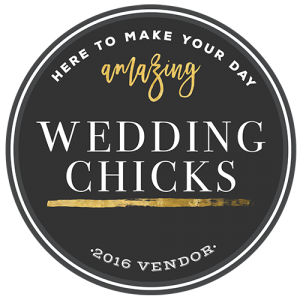 If you need any customized cards, tags, or stationary to accompany your bridesmaids gifts, contact us!